It's like finally the end of #CNOS2. No more needing you guys to vote/like for me anything in the meantime for now on! Hahahaha. 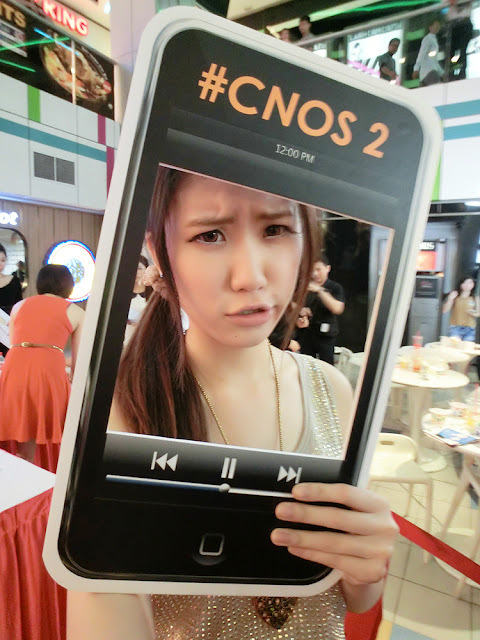 I'll do up a post CNOS2 entry soon after I consolidate the photos from the other bloggers. Was having a really horrible sore throat and flu that day. Didn't take much photos cause my head was kinda floaty. As you guys have known, I always wear masks if I'm unwell. I cough (got cover mouth), they stare. I wear masks, they still stare. 736's buddies, Tracy & Gordon came to support me too! Of course, there were other bloggers too that came down. And a few of my FB Page people too! 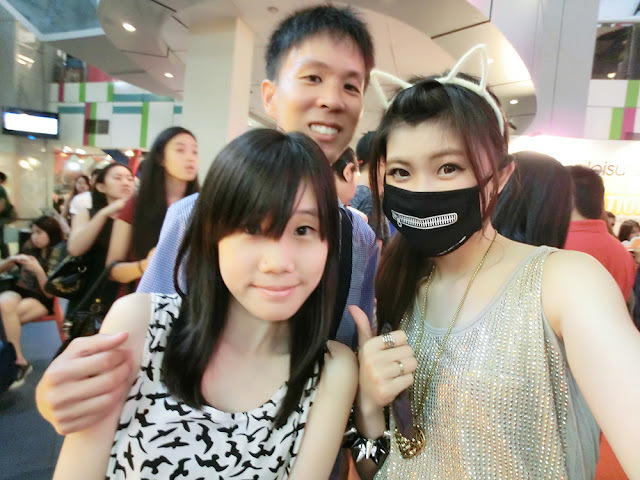 With super pretty and friendly Qiuqiu!! She's SUPER friendly I swear. Didn't go around to talk to the other judges though. Yea I know I don't sound like I have a sore throat. But I AM HAVING A REALLY HORRID AND PERSISTENT SORE THROAT. I woke up in the morning without any voice at all. Thank you for granting me with my voice to sing at least. It was really an awesome experience. It's my dream since young to perform in a mall where you can look up and see people looking down on you on the stage, singing. I know I've performed in malls before. And look down to see you? "Open area" mall kind of thing. Kelvin recorded the whole CNOS2 finals down! Must have been tiring holding up your hand to take such a long vid, edit, and uploading. Though this whole one month was really tiring and stressful. Thank you Cineleisure, Cathay Organization.